90% of all text messages are opened and read within 5 minutes or less. When you look at figures like that, it's no wonder businesses are turning to mobile marketing campaigns--they clearly work! How do you know if mobile marketing is right for you and what's the best way to develop a mobile marketing campaign? Read on and find out. Why try mobile marketing campaigns? 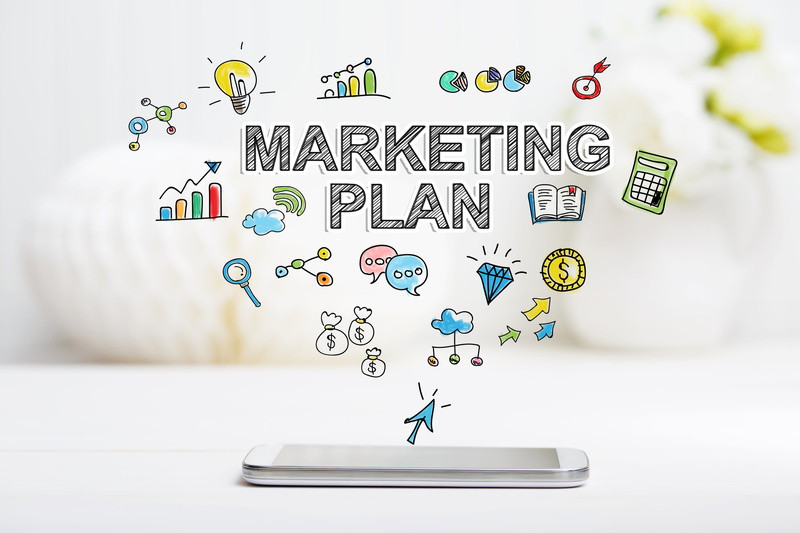 If you're toying with the idea of mobile marketing campaigns, you'll be pleased to know that many large, successful companies have tried them and received excellent results. In Britain, the NHS saved £3,000 on nurse appointments and £15,000 in GP appointments annually by sending patient SMS reminders when they had upcoming appointments. The travel company, National Express, have stated that they saved an estimated £8,500 annually by offering an SMS ticket alternative to the traditional printed one. Not only that--studies have shown that 50% of people use their smartphones on the way to the store. And 60% use it while they're in-store. The phones are already in their hands, so it makes sense to ensure it's your message they're reading. Mobile marketing is affordable and easy to do and has almost a 100% open rate among recipients. Better yet, there's still a gap in the market for this kind of approach, so you won't have to fight the competition to be seen. Like email, you'll be able to send out bulk messages to hit the maximum amount of recipients at any given time, which increases your chances of success. Everyone likes getting a text! When people's email inbox are constantly being battered by sales emails, a text message is far more intimate. They're simple, short and easy to engage with. A winning formula! When you aren't using your mobile marketing campaigns to sell to your customers, you can use them for engagement and customer service. For example, you can send messages to let customers know when their orders have been dispatched or if favorite items are back in stock. Mobile marketing works well as part of a multi platform marketing strategy. Tie it into your promotions and launches by integrating email, homepage creative and social media coverage too. Not only does that make your chances of campaign success much greater, it also means that your SMS isn't coming out of the blue. It will feel far more relevant and personal. SMS marketing should always be opt-in. Because you're effectively asking your customer to do more (sign up, for example), we suggest offering them an exclusive benefit or discount for their trouble. If you aren't a 'discount brand', don't worry. These benefits and incentives can come in many forms, like early access to new products and services. Reminders and invites also work well. Because it's cost-effective and quick to do, you can easily use mobile marketing to bump up sales of products and poor performing services. The immediacy of the SMS format means you are more likely to get that instant response you're looking for when boosting a flagging product. Relevancy is key in any campaign. Make sure you're sending your messages to the right customers and you're already halfway there! If you're using grouped contacts, make sure you clean up your data so that invalid numbers and duplicates have been removed before you send. It's also good to double check that all your numbers are connected to a network so you know they're being received. A good, clean list saves you money (no one wants to waste valuable funds texting disconnected numbers or the same number multiple times), it also gives you a better idea as to whether your campaign has been successful. If you know that all your messages were sent to active, decent quality numbers, then the data and success metrics at the end of the campaign will be a much better reflection of how effective it was. We don't need to tell you that sending a text late at night or early in the morning is far from ideal. We all have phones and we all know how annoying those out-of-hours messages can be. If you're a restaurant, text before meal times, so you're front and center as their choice. If you need sign-ups to an evening gym class, hit recipients mid afternoon to close that gap. If you want to save yourself time, you can even schedule your messages to go out when you want them to. One of the best things about using text messages for marketing is that you only have a limited amount of space to communicate your message. Unfortunately, this is also the hardest part! The average attention span is under 8 seconds long, which means even if you had the space to write more, chances are your customers wouldn't read it anyway. Keep your message short, to the point and very clear. Tell them what you're offering and what they need to do to redeem it. The most successful campaigns are the ones that clearly tell recipients what to do, so keep your call-to-action clear. If they need to reply to the message with a code or number, make it easy to do, so you get a better reply rate. Now that we know the message has to be concise and clear, it's time to think about what we should actually be saying. We've mentioned that relevancy is key and this is true of the content inside your text messages too. Make the message as compelling as possible and should include an incentive or benefit that's specifically appealing to them. Now that you know what mobile marketing can do for you and the power a good strategy has, you can venture out and write your own. Keep these key points in mind and you should find success!